Last year, Audi announced it would be bringing a suite of driver assist technologies, “Traffic Jam Pilot,” to the United States, but it would be difficult to get that approved through U.S. auto regulations. it turns out, it was too much for Audi, which has bailed. We have chosen to focus on introducing it in Germany first as the U.S. represents more differences in federal and state regulations, infrastructure as well as potentially customer training. We are mindful of these differences and feel it is not a decision to be taken lightly and we certainly look to do this with safety a first priority. So we will continue to look to bring the functionality when we feel the market is ready and will focus on Germany at this time. This isn’t the only Audi tech that’s not permitted in the United States. Over in Europe you can get much fancier headlights with automatically-dipping high beams for oncoming traffic that, thanks to some poor regulatory wording from half a century ago, is not legal over here. As it is, Audi drivers will have to rely purely on their own impeccable driving skill to get around safely and securely for the foreseeable future. 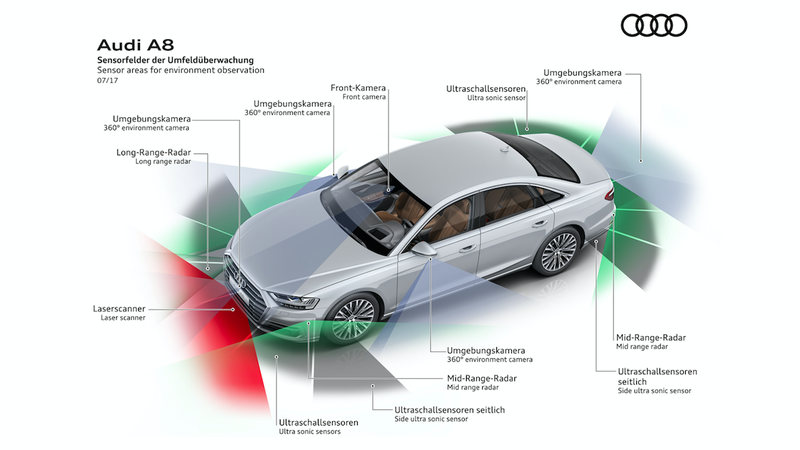 If you know something about what’s up with Audi’s Traffic Jam Pilot or if you were a part of its testing program, here’s how to reach out to us securely.